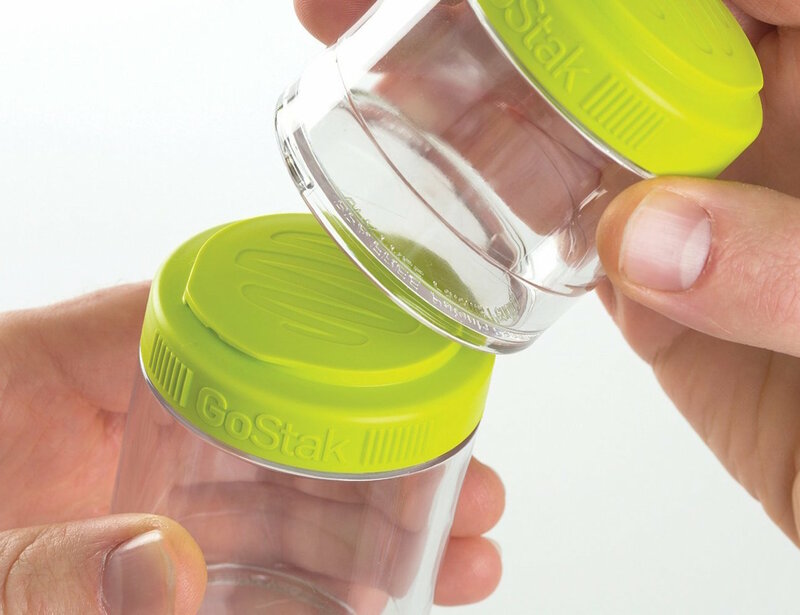 Maintain your healthy diet even when you’re not home with the GoStak Twist n’ Lock Storage Jars. 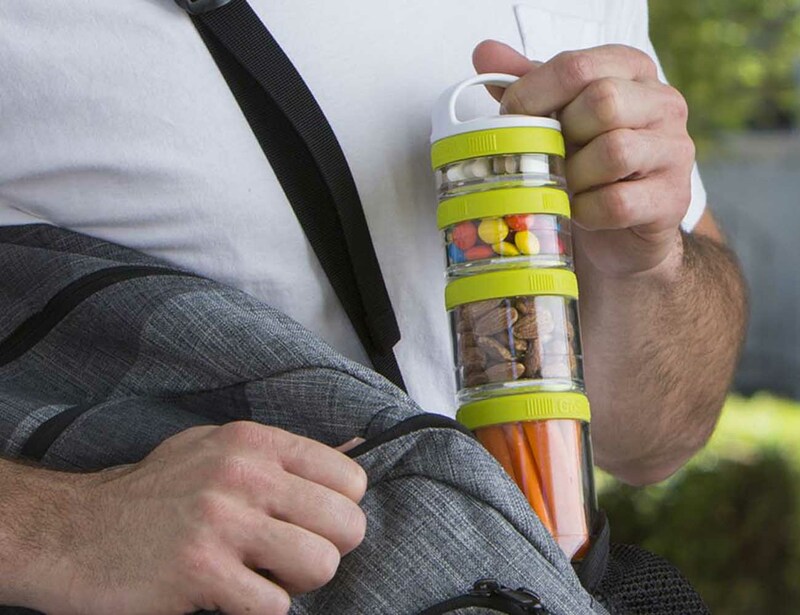 This set features four modular storage jars all linked together at the lid. Each jar, made of a highly durable plastic that is both BPA and phthalate free, is easily popped on top of the lid of the jar below to create a seamless storage and carrying system. 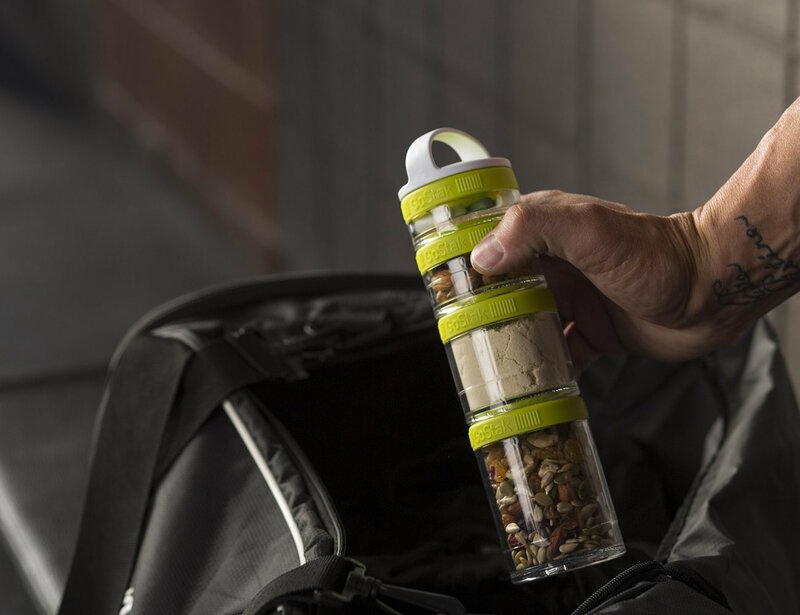 Ideal for the busy, the Twist n’ Lock Storage Jars are great for keeping separate your snacks, protein powder, chips and dip combos, or even your salad ingredients for a fresh taste. 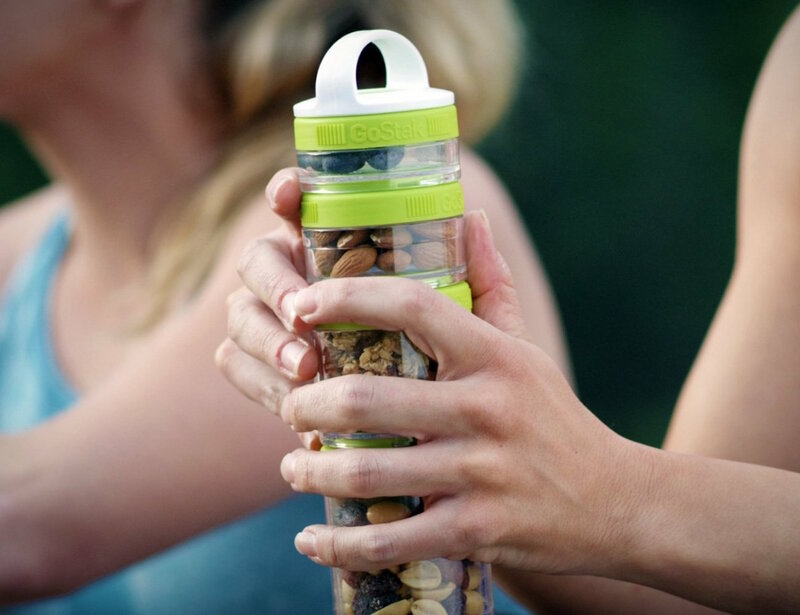 The Twist n’ Lock Storage jars come in your choice of blue, green, black, or white lids while the bodies of the jars remain transparent. 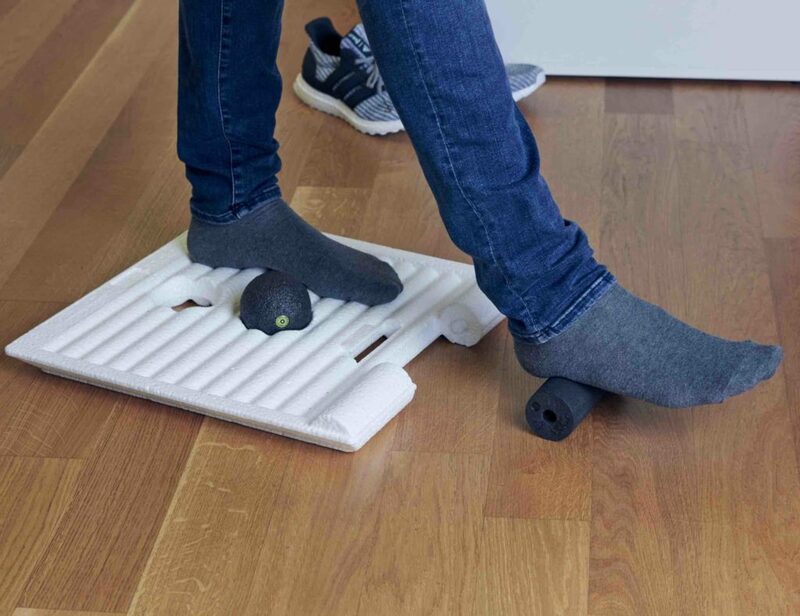 Each piece in the set is dishwasher safe.